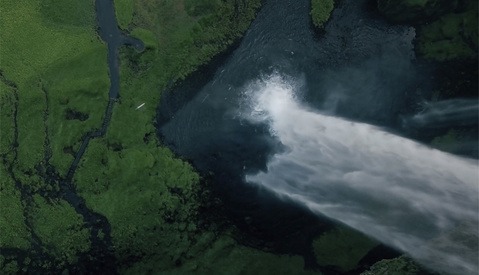 Always looking to try something different with his aerial videos, Vietnam-based Filmmaker Rufus Blackwell recently shared with me his latest project. His techniques combine motion control through planned waypoint missions, and then manipulating the footage in a visual effects software to mirror the ground in an almost "Inception"-like effect. Blackwell filmed his aerial footage with a DJI Inspire 1. If you recall, he previously created a very popular video called "Hyperlapse Saigon" that was featured here. I started with basic aerial time-lapse. Then started working on aerial motion control techniques. Using preplanned waypoint missions it is possible to set the drone up like an motion control rig in the sky. 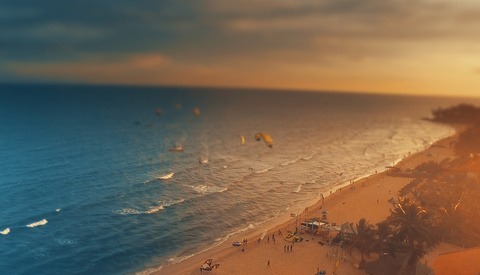 You can repeat the same set of camera moves at a different times of day to create a beautiful day to night transition. Blackwell also need some compositing and animation skills to track, smooth, and simulate additional movements to create the unique motion you see in the video. Then on top of that there are various techniques that allow me to reposition the camera in post and create camera moves on top of the drones automated movement. Finally by stabilizing the source material and flipping the image with a soft matte you can create the mirrorworld effect, sometimes changing the vertical scale of the images to give a different perspective. As apps get smarter, more lens options become available, and flight paths become repeatable, it's people like Blackwell who are really going to push their creativity to the limits and make some magical content. I have a feeling that this is only the beginning. To see more of the work Blackwell is doing, check out TimelapseVFX.